The deets: J. Crew tee and skirt (old); DV Dolce Vita heels; Ray-Ban sunnies; Michael Kors watch; gifted necklace (not sure where it's from); Steve Madden bag; Andrew Marc New York jacket. 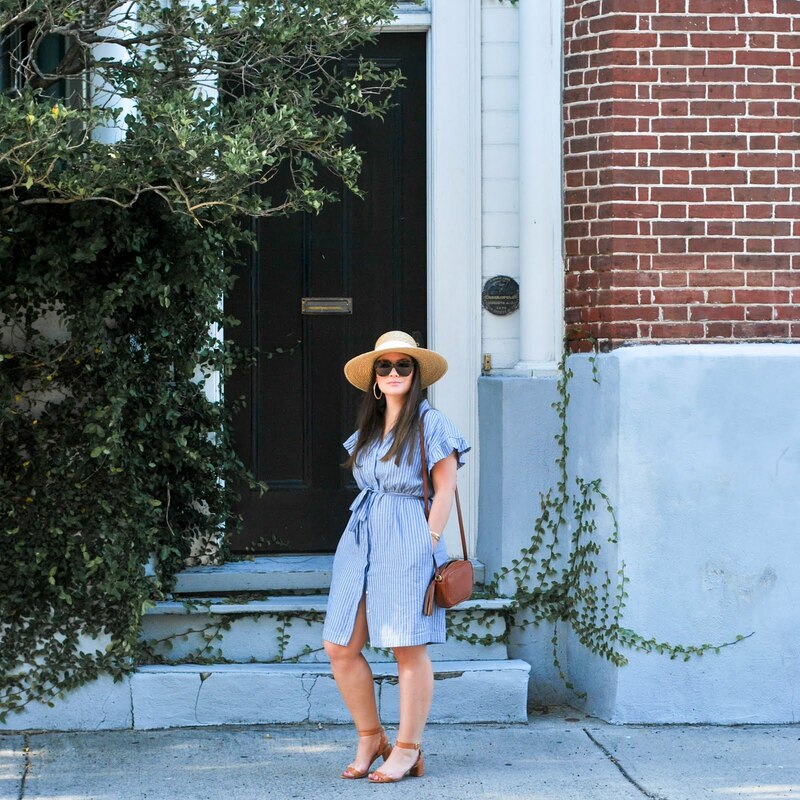 Although this isn't the most flattering piece I have in my closet, it's rare to find such a bold pattern that also doubles as a neutral that can be paired with just about anything, so for me, it's a keeper. After all it's really not the skirts fault, is it? It's probably all those parties involving candy stations, cupcakes, cookies, specialty cocktails and all sorts of deliciousness these love handles just refuse to refuse. Officially off the wagon until December 26th, peeps. Also - Don't forget to enter the $50 giveaway to Nyopoly here! Easy Entry. Winner will be announced tomorrow. That skirt looks great on you, and love it with the burgundy! What a great look on you. Love that cute skirt and love the burgundy you paired it with! Love it, you look divine! I have a similar skirt in grey tones, but now that I'm preggers I can't fit in it. Must find some maternity leopard to take it's place. 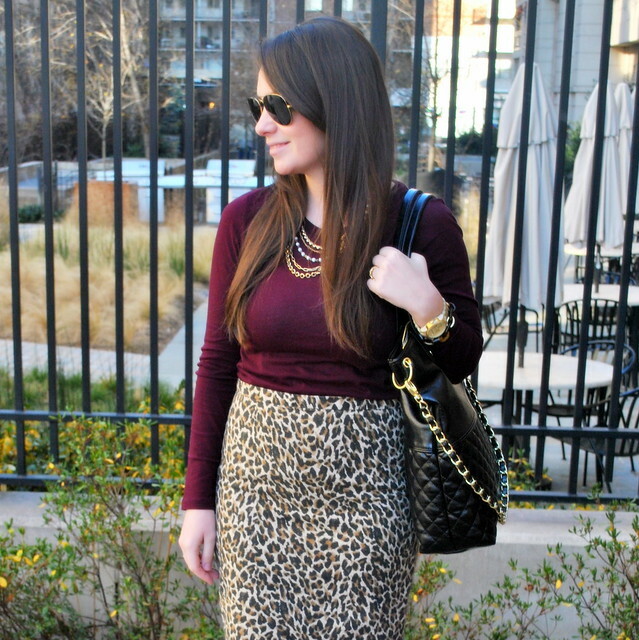 I've never been keen on animal print, but this skirt looks amazing on you! I love that you paired it with a berry colour jumper, love it!! This look is so sophisticated. I love the burgundy paired with the leopard! 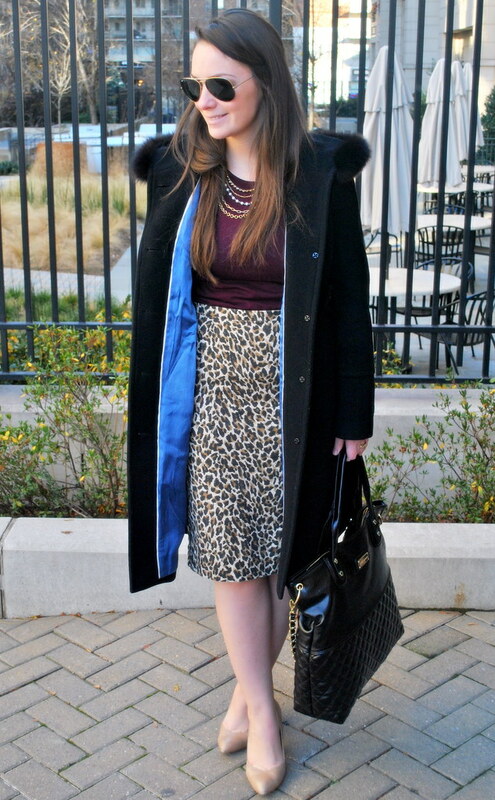 It's crazy to think that a leopard pencil skirt is a staple, but you are so right....totally is...so classy and fun, Erin!!! Cute look! Loving your skirt and bag! Great skirt. I can never pull of pencil skirts, but this one looks really good on you! Not the most flattering!? Whaaaaa... you look fabulous, pretty lady! You make me want to run out and buy 15 pencil skirts... no really! It looks good on you! Don't worry about it not being flattering, it's flattering!